Jeanette joined the Zonta Club of Metropolitan Dunedin when it was chartered in 1997. She is known for putting her hand up to say “yes, I will do that” and gets the job done. This attitude has led to her taking on many roles at club and district level. handed the responsibility of doing the wages (manually, including overtime and allowances) for over 40 staff. She says this position gave her a very good grounding in office administration – a skill she has continued to take with her throughout her career. Jeanette married in 1972, moved to Outram and for the next eight years devoted her time to her two daughters and the local community, taking roles in Plunket, Playcentre, and Brownies. Jeanette’s then husband was the chief of the local Volunteer Fire Brigade. His position required her to be involved with catering for many sizeable functions – up to 400 people. Jeanette married her second husband Brian in the Greek Islands in 2000. This added two more daughters to her family and she is very proud of her “girls” and takes delight in the addition of two grandsons to the family. In her spare time outside of work, family and Zonta, Jeanette likes to keep fit, garden, sew, keep in touch with her friends and has traveled extensively. 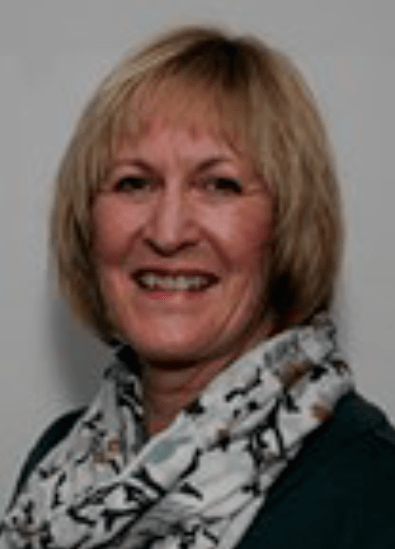 Jeanette has held a wide range of positions in office administration including local government, mechanical engineering, a law firm, whisky distillery and education. In 1995 she commenced her present career at the Otago Polytechnic and is currently Executive Assistant to the Chief Executive/Office Manager which includes office management and undertaking specific projects as they arise, including overseas study tours, alumni coordination, liaison with industry, recognition of sponsors, and staff functions. She is also Secretary to the Polytechnic Council. After leaving school at the age of 15 with School Certificate, Jeanette leapt at the opportunity to study further when the opportunity arose. She holds a Certificate in Supervisory Management, NZ Diploma in Business and a Bachelor of Applied Management (Human Resource Management). Jeanette volunteered her services as the first Club Secretary(1997). She was Club President in 2009-2010 and again in 2015-2016; she has chaired the Membership (twice) and United Nations committees, club Nominating Committee, was the editor of the Club Newsletter on two separate occasions, developed the Club Handbook and chaired the Extraordinary Fashion Committee in 2012. In the 2006-2008 biennium Jeanette was the District 16 Secretary and Awards Co- coordinator; she served as the Area 5 Director in 2010-2012; co-chaired the 2013 District Conference in Queenstown and chaired the District Nominating Committee 2013-2015.